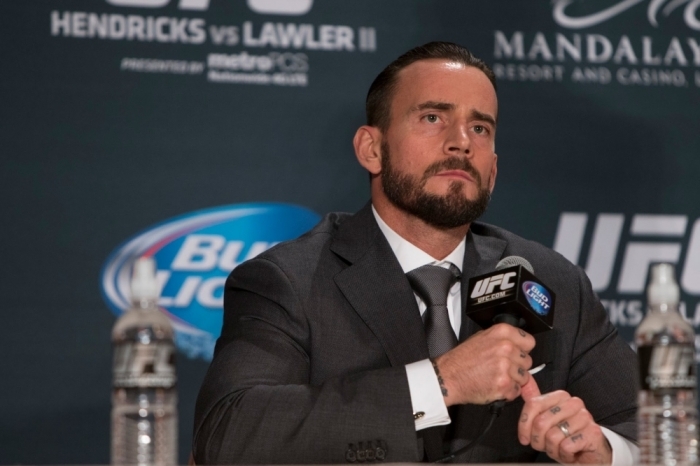 Former professional wrestler CM Punk of World Wrestling Entertainment fame says God has better things to do than cheer on a fighter during an MMA cage match, and instead of thanking Jesus, athletes should be thanking their coaches who helped them win. Punk, who's training for his first mixed martial arts bout, explained his views on faith and sports last week to MMA HEAT's Karyn Bryant. During the interview, Bryant asked Punk, a professed atheist, his opinion about when MMA fighters thank God for having succeeded in a bout. "I'm a free speech guy. I think anybody can say whatever they want, you know. That being said, if there is a God … I think he's got better things to do than worry about what somebody's doing for 15 minutes in a cage," said Punk. "I'd like to see people thank their coaches more than Jesus, you know what I mean? I think their coaches probably helped them win. I just think it's a weird thing to do." Earlier this month, The Christian Post reported that UFC President Dana White told Cuban middleweight fighter Yoel Romero to keep religion and politics at home, after Romero thanked Jesus Christ following his win over Lyoto Machida in the UFC Fight Night 70 event in Hollywood, Florida. "You just won the biggest fight of your career, America doesn't want to hear your thoughts on Jesus. Keep that stuff at home; religion, politics, all that stuff. When you're out there fighting and you're being interviewed, they want to hear about the fight," White said in an interview with MMA Fighting. "It's awesome you love Jesus; love Jesus all you want. You just don't have to do it publicly." Punk added that he believes MMA fighters are "free to talk about it … just like I'm free to make fun of them for it they can make fun of me for being a phony pro-wrestler fighting in MMA now." A native of Chicago whose real name is Phil Brooks, Punk became a major figure in WWE, the nation's largest pro-wrestling organization. Among his accomplishments: holding the world heavyweight title for 434 days — one of the longest title reigns in WWE history. In January 2014, CM Punk left the WWE, months before his contract was slated to expire, due to issues surrounding his health and the overall direction of the company. Last December it was announced that Punk was going to have an Ultimate Fighting Championship bout with a yet-to-be-named opponent sometime in 2015. Punk's pending UFC bout has elicited a range of reactions, with some arguing that he's woefully unprepared for the world of competitive fighting, and others coming to his defense. In the same interview with Bryant, Punk also spoke about the training he was receiving for his yet-to-be- announced bout, referring to the experience as "super awesome." "I am a fan of knowledge, so every day for me is a good day because I'm always learning something," said Punk, regarding his preparation for the UFC bout. As to the specific date and opponent for the bout, Punk recently told ESPN in an interview that it will depend on his coach, Duke Roufus of Roufusport Mixed Martial Arts Academy in Milwaukee. "I don't ask my coaches, 'How did I do today? Am I ready?'" said Punk. "They say, 'Come back at 7' and I come back at 7. They tell me to mop, I mop. They tell me to sweep, I sweep. If they tell me to work the mitts or come in and work extra, I do it."